Jesus H.! That's Good Beer! 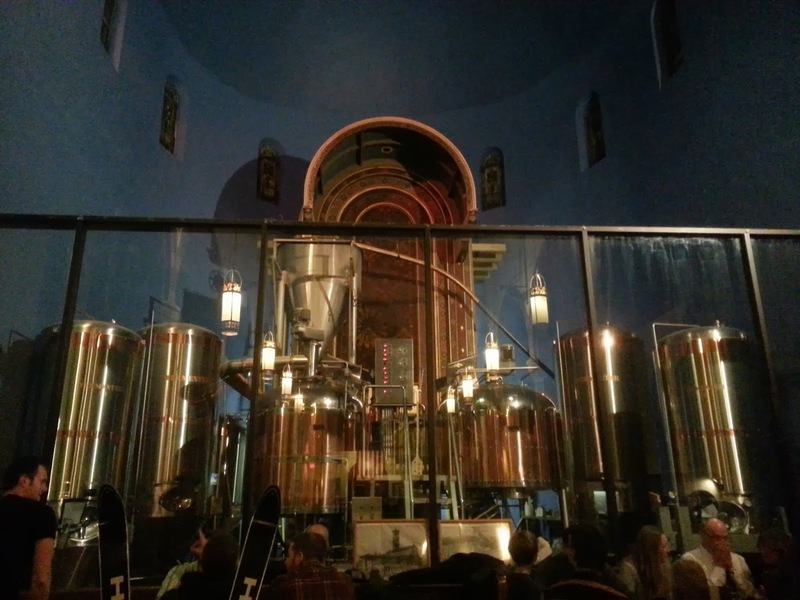 Saturday, we headed out to Pittsburgh for the Avett Brothers concert (see my concert review here), so I figured why not try to hit at least one brewery on the trip. 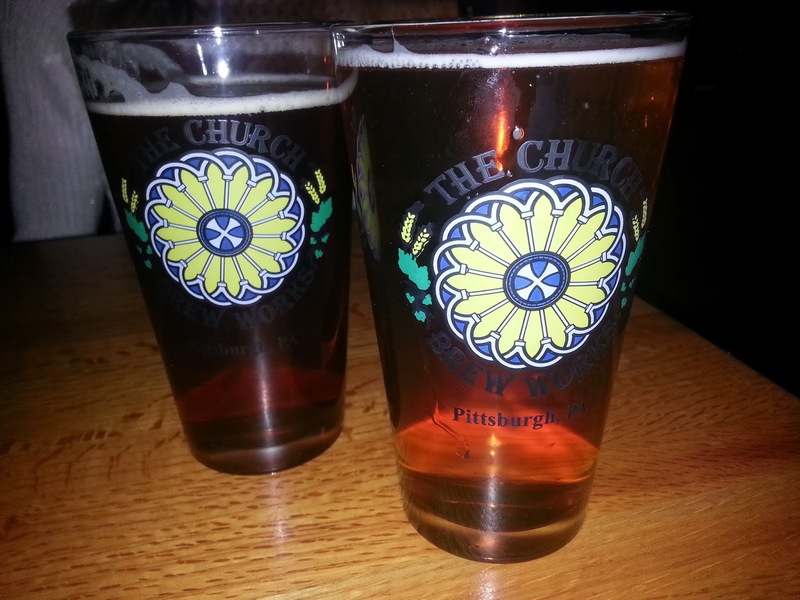 I went out to beer advocate and searched for local brew spots in the Pittsburgh area. 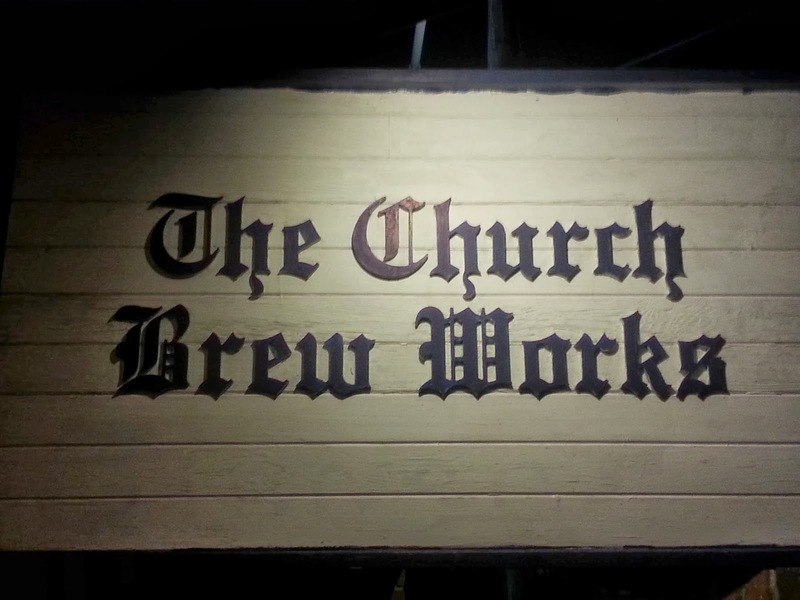 The Church Brew Works popped up on the list and looked intriguing enough to head to. 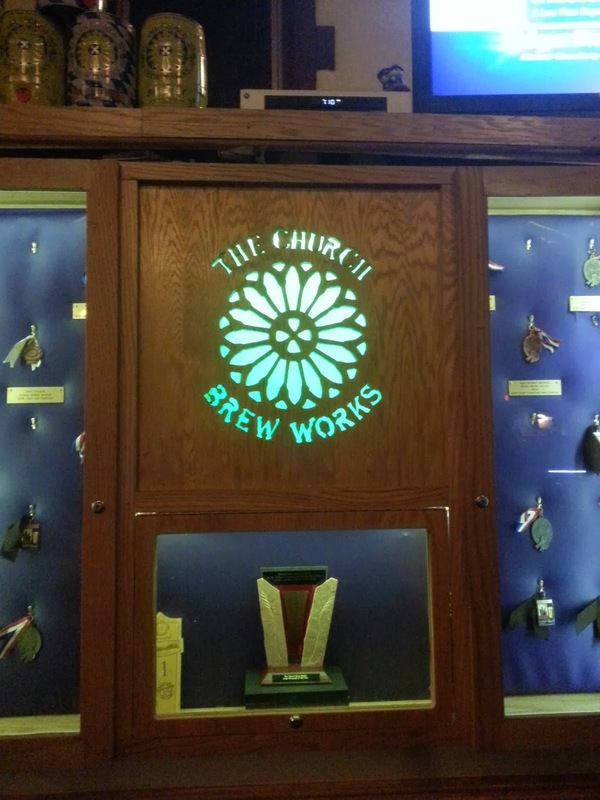 A cool theme in which the brewery was built a restored 1902 church in the Pittsburgh suburb of Lawrenceville, this brew pub offers a diverse, and untraditional menu. 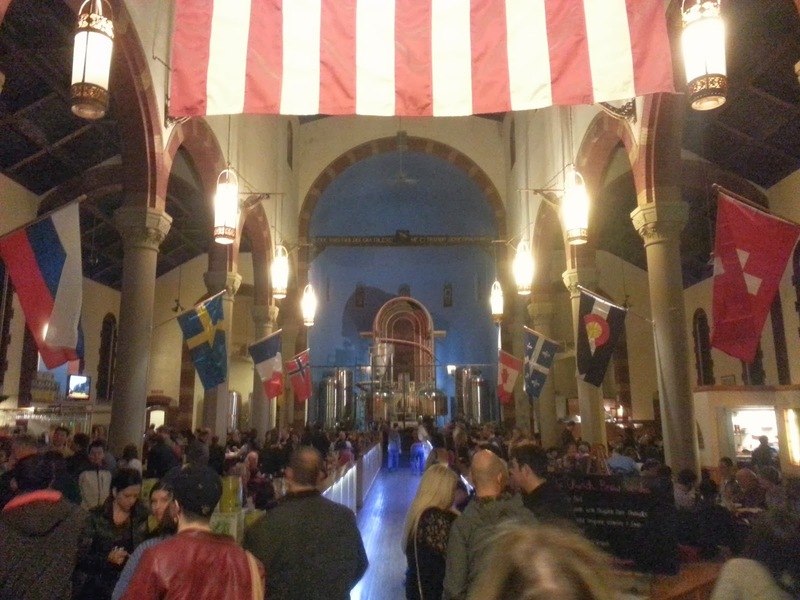 We showed up and it immediately shocked me as being a truly standout idea to have a brewery. 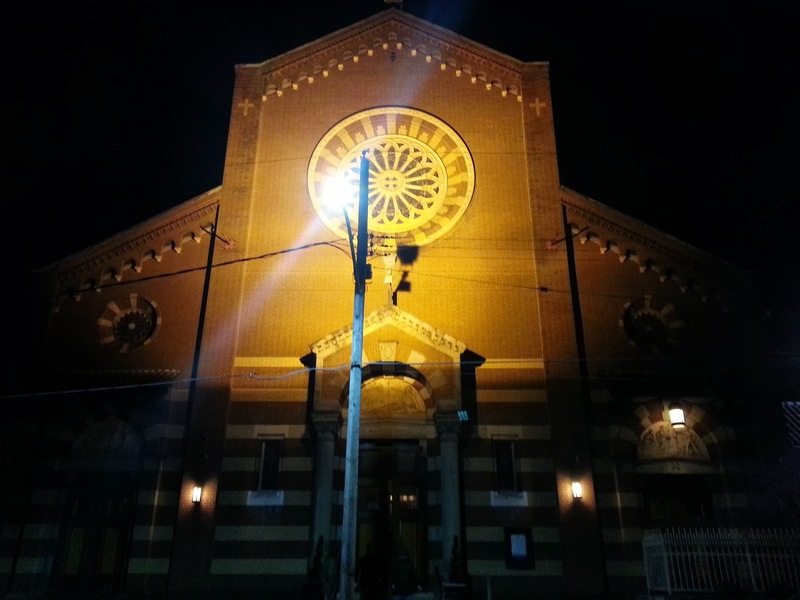 When pulling up, it truly looked like people were hanging outside of a church smoking cigarettes. There was nothing that really stood out that made you think this was a brewery, bar and restaurant, except for the sign, which actually looked like it should say Our Lady of Mt. 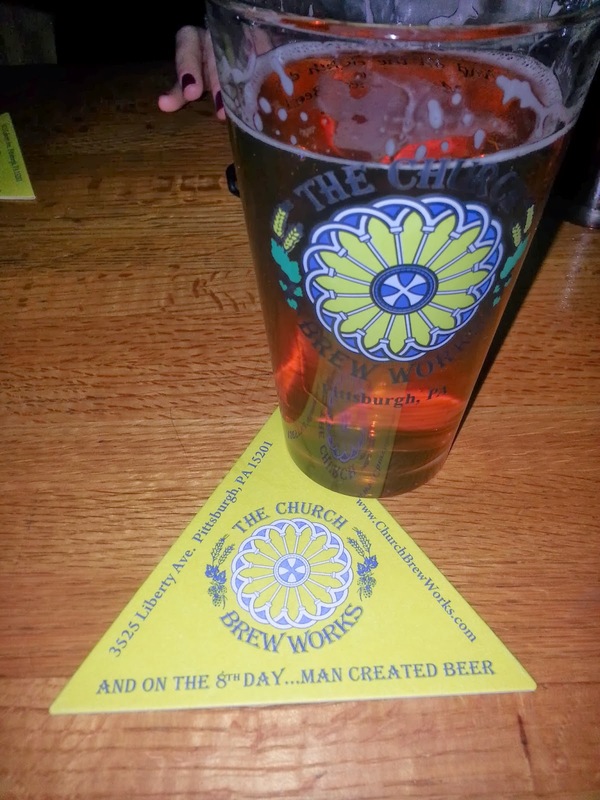 Beer, but really said The Church Brew Works. Everything was kept to the church theme. We grabbed some seats in the bar area because the wait for a table was over an hour. We sat down and waited quite awhile for the wait staff to come by. Although extremely kind, they seemed to be a bit overwhelmed by the amount of people in waiting on beers and food. We eventually got service and ordered some beers and dinner. Pipe Organ Pale Ale - English Pale Ale, ABV: 4.3% - A subtle pale ale with great taste and perfect to start a long night of drinking. 3.5 out of 5. Thunderhop IPA - American IPA, ABV: 8% - A heavy hitting IPA. I got smacked in the face with a boozy, hoppy first sip. 3 out of 5. Renegade Black IPA - Black IPA / Cascadian Dark Ale, ABV% 5.9 - A really smooth black IPA that had the perfect taste and was a great compliment to the chicken I ordered. 4 out of 5. 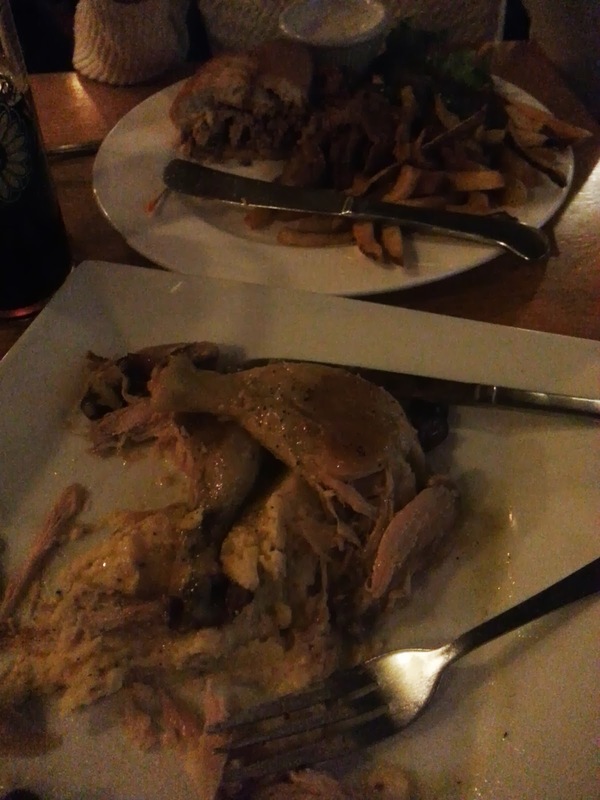 The wife ordered the pulled pork sandwich with fries and I went with the crispy chicken thighs with mashed root. 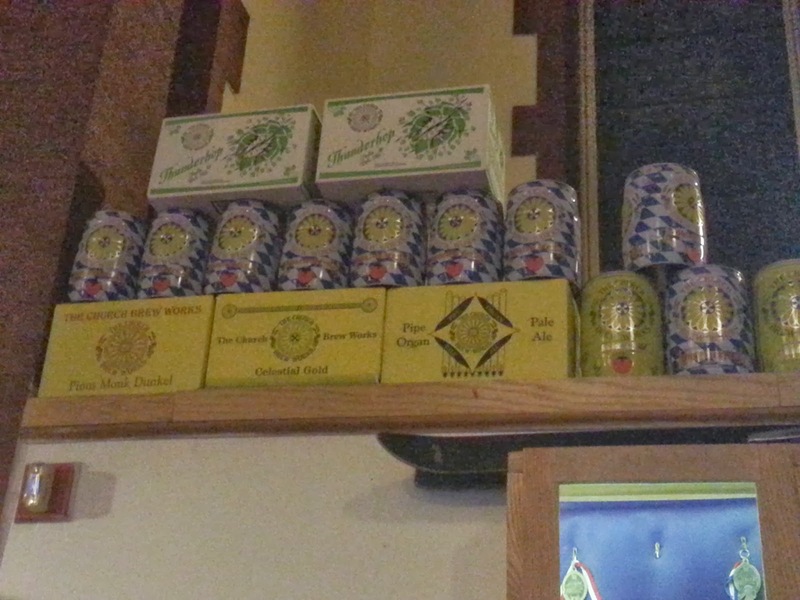 Both were very good and as I mentioned were complimented perfectly by our beers. Overall a fantastic venue and very cool theme. God, I hope I can go back soon.